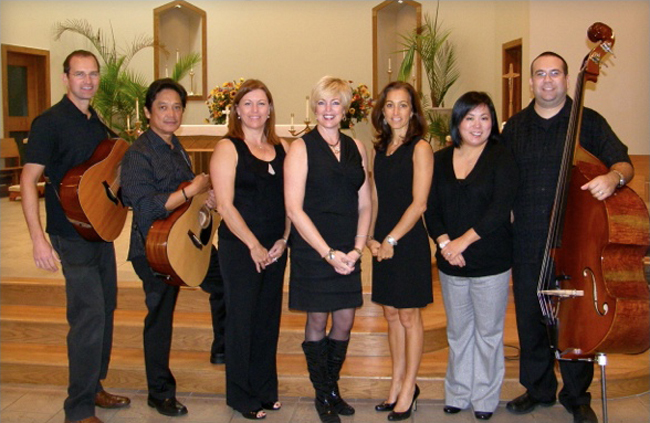 We take special pride in our music ministry at St. Joan of Arc and have a variety of opportunities for sharing talents. We welcome singers as cantors, in our choirs, and instrumentalists for the inclusion in our music at masses. Cantors lead the congregation in song during the mass. 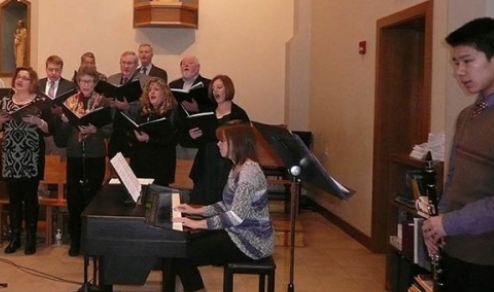 Our cantor program is continually evolving which keeps the leading of song at masses fresh. We introduce cantors to our parish as high schoolers and rotate all cantors. Singing for SJA is not a paid position, but one of joy and willingness to share a talent. 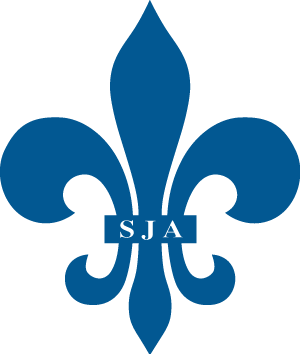 If you enjoy singing and have a strong voice, please consider cantoring at SJA. The SJA Kid Choir began nearly 20 years ago. All parishioner kids are invited to join in grades 3-8! This choir sings once a month at the Family Masses during the school year, Christmas Eve, and the Marian Prayer service. Music and recordings are sent electronically to rehearse at home, followed by one rehearsal immediately following a 10:30am mass before the Family Mass. The SJA Adult Choir is a fun organization. Participation is easy and flexible, and we sing during these times of year: the four Sundays of Advent, a few Sundays following Christmas Day, most Sundays during Lent, Holy Week, Easter and Pentecost. We take a short break during Ordinary Times. We have a few evening rehearsals, but most learning is done electronically shared via dropbox. We meet at 9:30 AM to rehearse in the church prior to singing at the 10:30am Mass. Please consider joining this wonderful group of people. Music reading skills not necessary. We love to enhance our liturgies with instruments – clarinets, flutes, guitars, trumpets, violin – if you play an instrument and can share your talent, please let Carrie Elko know!